KATHMANDU, May 30: The lower and middle earners have something to cherish as the budget for Fiscal Year 2018/19 has lowered income tax rate for them, while the higher earners will now have to face additional tax burden. The government has termed this way of taxing income as ‘progressive taxation’. According to the budget announcement that Minister for Finance Yuba Raj Khatiwada made in the parliament on Tuesday, there will be now three rates for income tax -- 10 percent, 20 percent and 30 percent on taxable incomes. Previously, only two rates -- 15 percent and 25 percent -- were in practice. With three types of income tax rates, an individual earning Rs 450,000 annually will have to pay 10 percent on the amount higher than the income tax slab of Rs 350,000. This means people having annual earning of up to Rs 450,000 will have to pay only 1 percent social security tax for Rs 350,000 and 10 percent of the remaining Rs 100,000. Under this taxation, the total income tax on annual income of Rs 450,000 will be Rs 13,500. Earlier, an individual was required to pay 15 percent, income tax for this earning. Similarly, individuals earning above Rs 450,000 will have to pay 20 percent income tax on the amount higher than the threshold, down from earlier rate of 25 percent. But, those within the annual income bracket of Rs 650,000-Rs 2 million will have to cough up 30 percent of income tax on the amount higher than the lower slab. Individuals earning higher than Rs 2 million per year will have to pay 20 percent surcharge on top of one percent social security tax, 10 percent, 20 percent and 30 percent tax rates. The three different rates will be applied for the salaried couple in their slab of taxable income. The taxable income slab for a couple has been fixed at Rs 400,000. 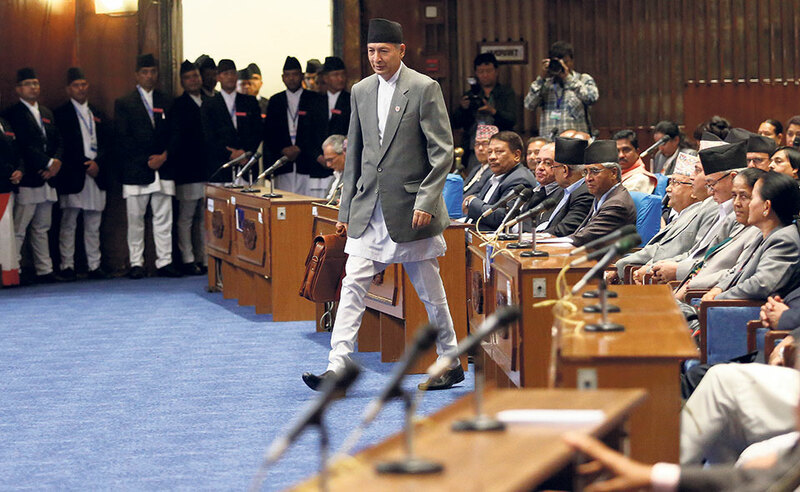 In his speech to the parliament to unveil the budget for Fiscal Year 2018/19, Finance Minister Khatiwada said that the change in income tax rates was aimed at implementing ‘progressive taxation system’. “The proposed way of taxing individual earners is likely to benefit those who make low or modest income,” Chandramani Adhikari, a senior economist, told Republica. “As the government is looking forward to increase its revenue, it has increased tax rate for those making high income. Still, the rate for them is also not so high,” he added. Educational and health industries are going to be benefited from the budget for the new fiscal year. The government has decided to scrap education service fee and health service fee. Education service fee used to be charged from schools, colleges and other educational institutions, while health service fee was non-tax source of the government from hospitals, healthcare service providers and medical clinics. Earlier, there was a debate on whether such fee was to be levied on end users or it is the liability of the companies. The limit for waiver of the Capital Gains Tax (CGT) on land and housing transactions has gone down to Rs 1 million to Rs 3 million. Now, CGT must be paid for transactions of land and house worth higher than Rs 1 million. 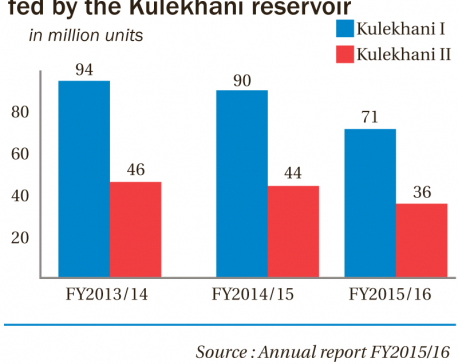 Earlier, people did not need to pay CGT for transactions below Rs 3 million. This means that land and house transaction is going to be costlier now. There are some firms and companies who are going to get different tax breaks and benefits. According to the budget announcement, manufacturing and tourism sector industries that reinvest their profit from the reserve will get tax discounts on dividends. Similarly, industries providing direct employment to more than 100 people will also get discount on income tax. Tea, garment and dairy industries are also going to get 50 percent waiver on income tax. Micro enterprises will get income tax waiver for five years while women-run enterprises will not have to pay income tax for seven years. Private companies having paid-up capital of Rs 500 million will get 10 percent income tax deduction if they want to go public..
Four-wheelers with engines bigger than 1,000 cc and two-wheeler with engine displacement larger than 150 cc are also going to be more expensive now with the government’s decision to increase their excise duties. According to the Financial Bill tabled by the government at the parliament, excise duty will be levied on the import of chocolates that use cocoa, and on perfumes, toys and refrigerators. Duty will be levied on their domestic production as well.